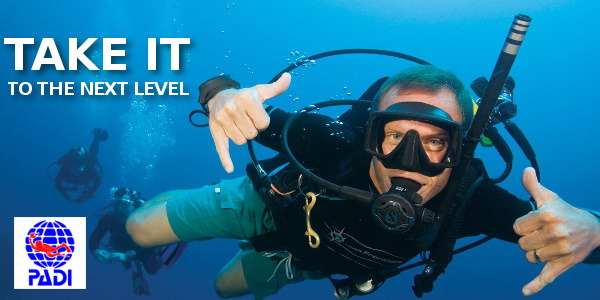 The PADI Advanced Open Water course can be taken after completing the PADI Open Water Diver certification. It’s titled PADI Advanced Open Water Diver because it advances your diving knowledge & skills. Students must have their own mask, snorkel, booties, fins, gloves and hood all other required gear is provided including BC, regulator. The cost does not include entrance to the park.